See what the Central Oregon night sky has to offer! 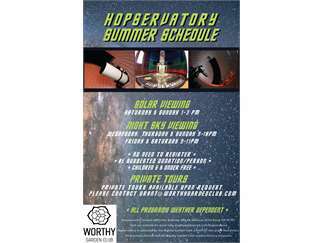 Open house viewing includes a peek through our 16-inch research-grade telescope guided by our "sky-guy," Grant Tandy, and seasonally appropriate educational information. No registration required; simply take the spiral staircase or elevator directly to the 3rd floor Hopservatory during open hours.